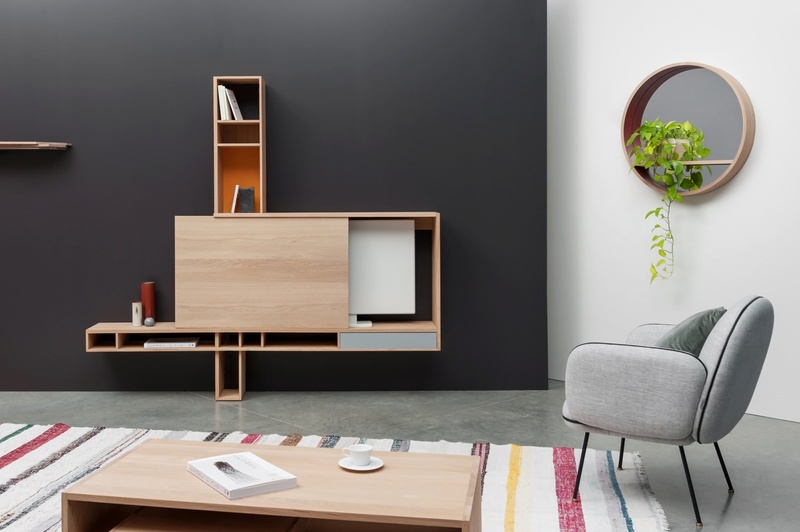 Thanks to its sliding panel, Ortho TV makes it possible to conceal a television. Graphic and aerial, Ortho is more than just a TV stand, it becomes a major element of the decoration of an interior. Its niches allow to highlight books and objects, to receive box and multimedia boxes. The location reserved for the TV can be adapted to all dimensions. The colors of the backgrounds and the drawer are customizable. Opening the drawer by shoot-coward. Drawer on Hettich invisible slide. Sliding panel on pebbles. Furniture delivered assembled. Placed on the ground, it must also be fixed to the wall with a fixing rail (supplied). 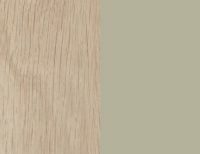 Solid French oak from sustainably managed French forests. Door and back oak veneered solid way. Made in Anjou. Hugues Weill is a graduate of Ensci, he works as a freelance and has taught design and architecture for fifteen years.